When should you open the pool for the season? 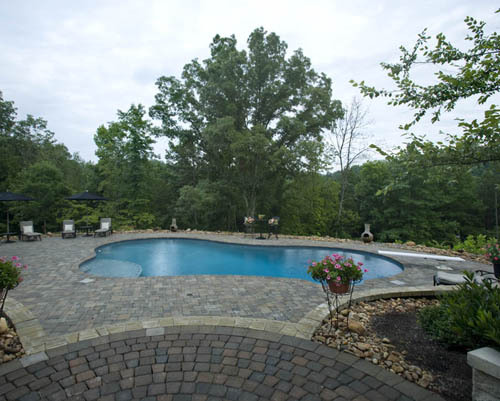 If you’re in the midst of a deep freeze or the ground is covered in snow you’re probably not thinking, “when should you open the pool for the season?” Many swimming pool owners choose a specific date on the calendar and get on the radar of their pool contractor from Tipton Pools in Konoxville, TN. Other pool owners wait and check on the wather itself before they decide it’s time to pull off that winter cover and open the pool for spring and the summer ahead. Spring may bring with it a quick warm up. If you have a pool heater, you just might be able to heat the water, economically, and get a jump on the swim season. You may have an easier time getting on a pool contractors schedule for your pool opening. If the pool is opened, the chemicals balanced and the pool cover removed, you may help prevent algae growth. Algae can begin growing under the cover, if there is sunshine — it will begin its insiduous growth and you won’t be able to see it until the cover is removed and then you’re looking at a bigger clean up than a spring opening. A spring opening and a pool heater means you will be able to enjoy a longer swim season. You may reap a money savings by getting an earlier jump on your pool opening because your pool contractor may offer incentives for an earlier pool opening. Whether you choose a specific date on the calendar or wait for a specific stretch of warmer temperatures to plan your annual pool opening, give us a call when you’re ready and let’s get your pool opening on the calendar.